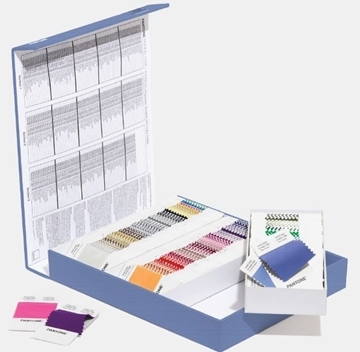 203 new polyester colours in a brand new Pantone® Polyester Swatch Set box, each chip 4,5 x 4,5 cm double folded minicards (4,5 x 9 cm). 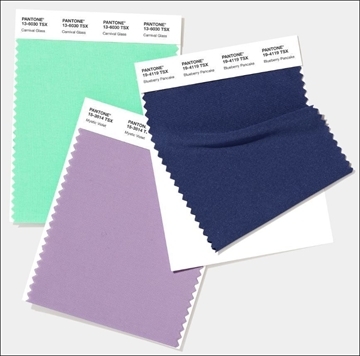 Once you have the set, you can start designing and ordering on demand by piece Pantone® Polyester Standards Swatch cards in 10 x 11 cm double folded 100% polyester warp knit, with minimal lustre for maximum colour appearance. All 203 colours have their own unique Pantone code + TSX – S for synthetic and a new name of course. Products like for sports, swim, lingerie, fashion, shoes, industrial design and many more now start increasing their use of polyester for its positive properties, hence needed. 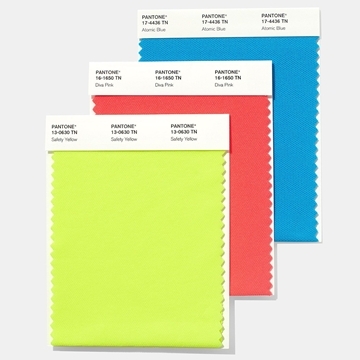 Pantone SMART polyester swatch color standard in TSX color, from Pantone Fashion + Home. Setting up seasonal color palettes has never been easier. Delivery directly to you from Pantone European warehouse normally within 3-5 working days. All 21 Nylon bright colors are now available in one handy ring set. 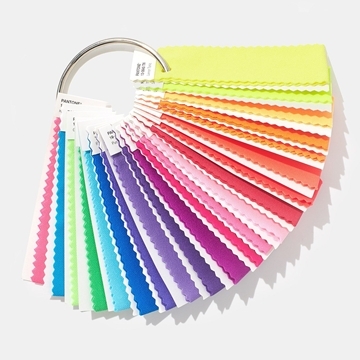 Use your Nylon Brights Ring Set to choose your colors, and then order a swatch card for optimal viewing. These bold bright colors have been especially selected for apparel use in the swimwear, outerwear, activewear, workwear and safety industries.